We begin on Thursday, February 26 with a performance by Joe Fonda and From the Source, featuring Joe Fonda, bass, Brenda Bufalino, tap dancer, vocals, poet, concertina; Vicki Dodd, vocals/healer; Herb Roberson, trumpet; Gebhard Ullmann, saxophones and Rudy Walker, drums. On Thursday, March 25, the 15-piece Sun Ra Arkestra under the direction of Marshall Allen, advance the legacy of one of the most influential and idiosyncratic musical aggregations in American history. Today you can hire any of the big bands of the Swing Era, including the Duke Ellington and Count Basie Orchestras. There are players who can do amazing imitations of Tommy Dorsey's legato style, or play Benny Goodman solos note for note. But is it possible to keep alive a musical legacy without resorting to nostalgia? The Sun Ra Arkestra says ‘Yes!’ Led by saxophonist Marshall Allen, who worked with Sun Ra for several decades, The Arkestra is filled with creative musicians who played with Ra and incorporate his ethos of spiritual fulfillment through sound. Marshall Allen resides at the Sun Ra residence in Philadelphia which is maintained as a living museum dedicated to the compilation, restoration and preservation of Sun Ra's music, memorabilia and artifacts. There he composes and arranges for the Arkestra, centered totally on the study, research, and further development of Sun Ra's musical precepts. The 79-year old Allen is featured on over 200 Sun Ra releases as well as appearances with NRBQ, Phish, Sonic Youth, Diggable Planets and Medeski, Martin and Wood. The Magic Triangle Jazz Series concludes on Thursday, April 29 with a performance by Bobby Previte and Bump. For more than twenty years, Bobby Previte has remained one of the major figures in the New York City music world, widely hailed for his electrifying drumming and his stunning, unclassifiable compositions. "Mr. Previte's pieces are thoroughly, stubbornly, and distinctly his own...the music copies nothing," writes The New York Times. He began his life in music at thirteen, playing soul and rock music in the old bars, clubs, and bordellos of Niagara Falls, NY, and later studied formally at the University of Buffalo, where his teachers included John Cage and Morton Feldman. A series of albums recorded in the late '80s established Previte as one of the relatively few jazz drummers who are also composers of significance. 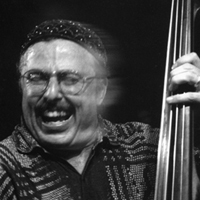 His first Gramavision albums were enthusiastically reviewed, and established his reputation as one of jazz's more visionary figures. Previte has since composed for a variety of contexts, from the new music aggregation Relache to his Music of the Moscow Circus album. Bump’s two releases on Palmetto Records prompted CD Review to suggest that, "Previte's music rolls along like an 18-wheeler eating up Interstate 15 through the Arizona-Nevada desert." His all-star quintet includes Marty Ehrlich, reeds; Curtis Fowlkes, trombone; Wayne Horvitz, piano and Steve Swallow, electric bass. All concerts will be held at Bezanson Recital Hall and begin at 8pm. For tickets call 413-545-2511 or 800-999-UMAS or follow this link http://purchase.tickets.com/buy/TicketPurchase.